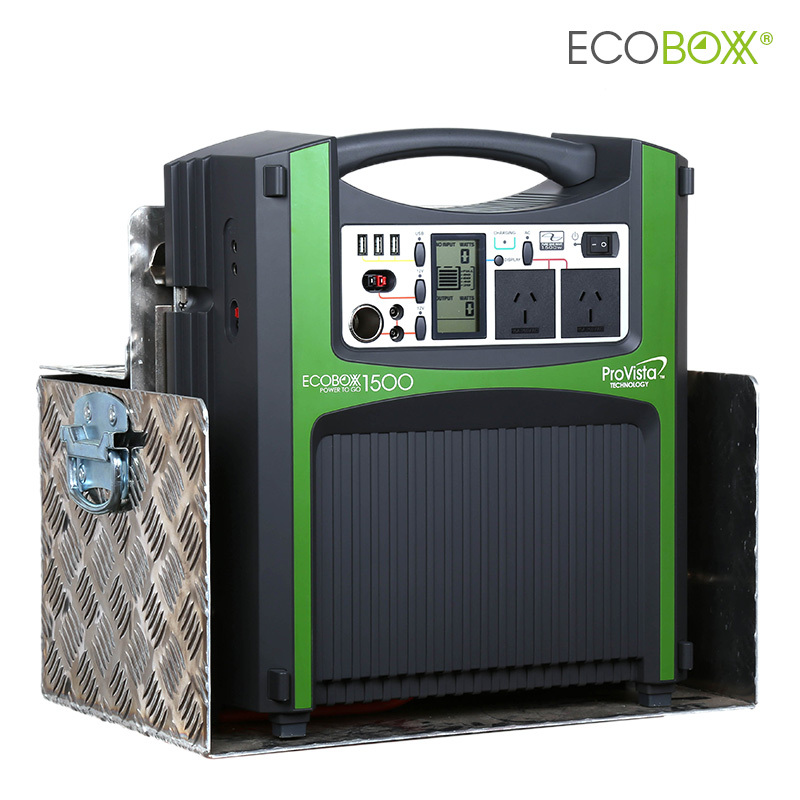 The ecoboxx 1500 energy station provides up to 350 hours of portable power making it ideal for emergency power supply for the home.Able to run large TV's,most microwaves, power-tools and even household fridges. 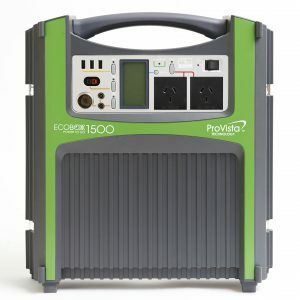 A 1500w pure sine wave inverter provides clean power to sensitive appliances like laptops, audio equipment and power management systems found in modern caravans.An integrated 20A MPPT solar controller regulates the charge provided by the 130W solar panel kit.The Ecotank with 105Ah built-in battery features plug and play connection and heavy duty castor wheels. 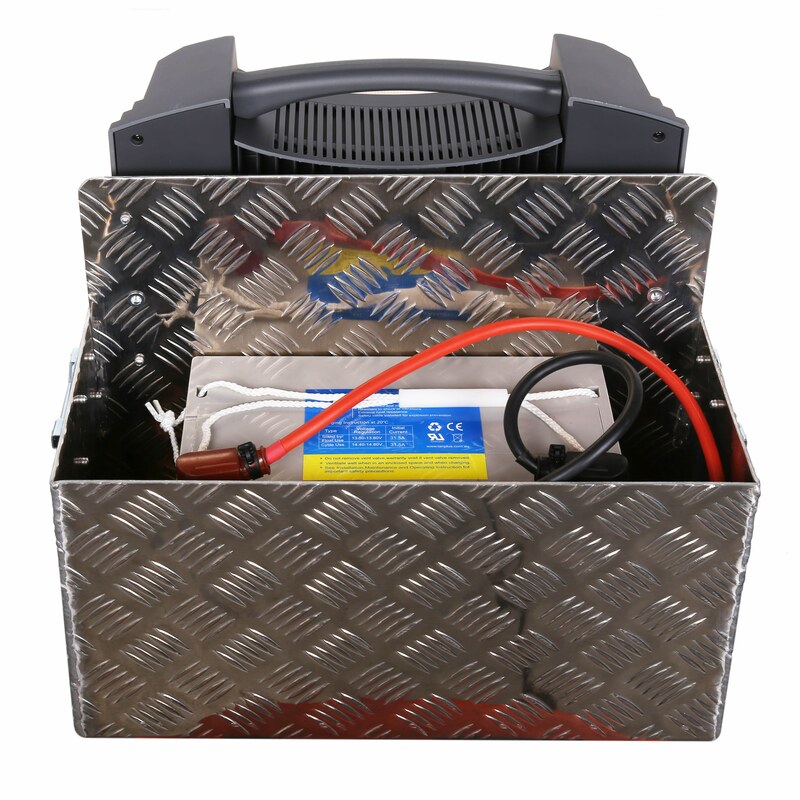 Easily monitor both the input and output power via the large LCD display. 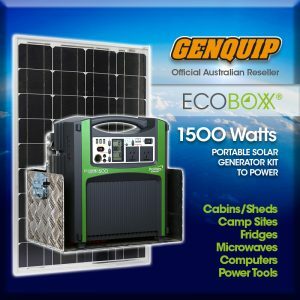 Click on the button below to download a PDF manual for the Ecoboxx 1500. 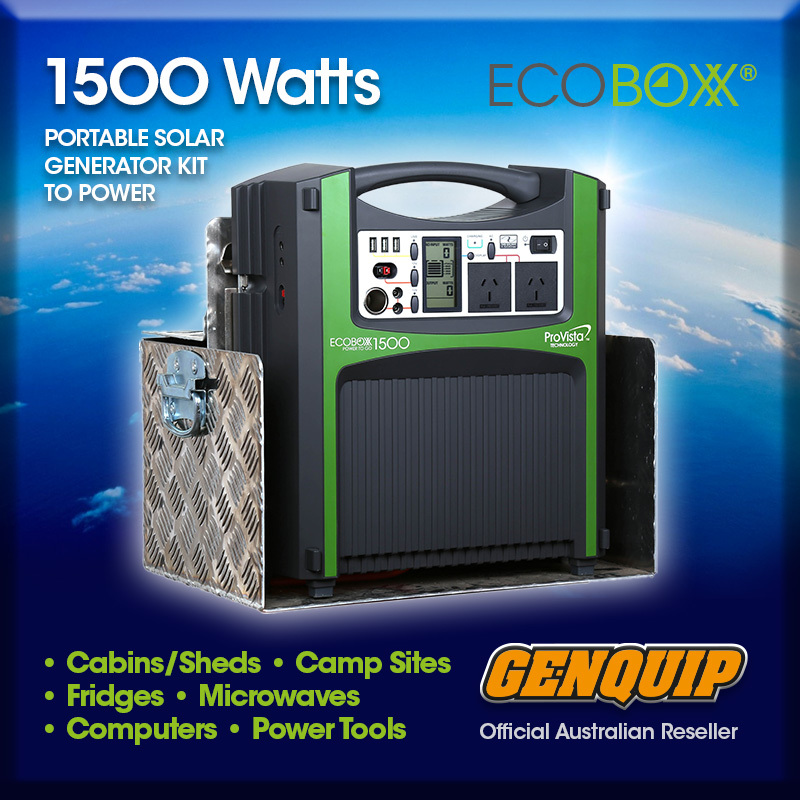 Click on the button below to download a PDF brochure for the Ecoboxx 1500.